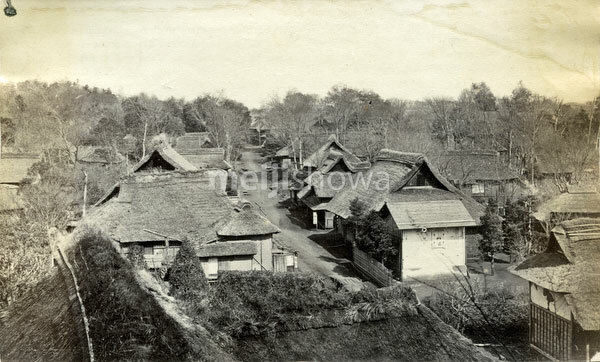 Tsuruma (鶴間), a village near Yokohama on the way to Tana (田名), Miyanoshita (宮の下) and Oyama (大山). It is currently part of Yamato City (大和市). Published in The Far East on October 4, 1871 (Meiji 4).